Xenamine Review, It promises rapid weight loss via fat burning and appetite suppression. ← Diet Magic – What does it do, is it discontinued? Xenamine is a diet pill manufactured in the USA by InnerVital. The company produces a number of other weight loss products and all sales are kept strictly in-house, but this is not always obvious because sales are usually made via a number of sites. 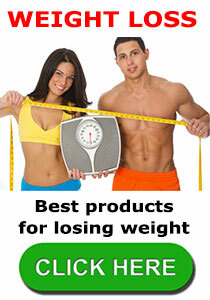 Typically this consists of their main website, a dedicated product website, and an online store called ShopTopDietPills. 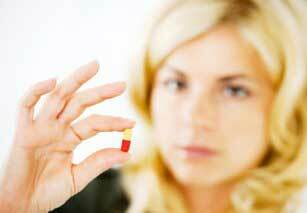 What is Xenamine and how does it Work? According to the sales blurb, Xenamine uses “thermogenics and lipotropics” to provide fat burning in a way that is superior to other fat burning supplements. The lipotropic process assists the breakdown of fats and moves fats out of the liver, and thermogenics is a process that stimulates the metabolism to generate heat and provide fat burning benefits; so the theory is sound, but what works in theory does not always work in practice. Let’s take a closer look at the formulation and see if it is likely to support such results. Two pills provide 400mg of caffeine anhydrous. That’s the equivalent of four cups of coffee! So much caffeine will undoubtedly provide a good buzz of energy and improve concentration, but possible side effects could include jitters, nausea, heart palpitations and trouble sleeping. The pills also contain 200mcg of chromium, which has been a popular fat burning ingredient for over 60 years, but recent studies reveal its fat burning potential is little better than that of a placebo and some chromium-providing supplements have been known to cause damage to the liver and kidneys. Without any inclusion rates for individual ingredients it is impossible predict how well the proprietary blend is likely to work, but cha de bugre and guarana will provide further caffeine to a formula that already supplies a potent dose. Green tea contains caffeine as well, but it is rich in antioxidants that are beneficial for the health and is a proven fat burner. 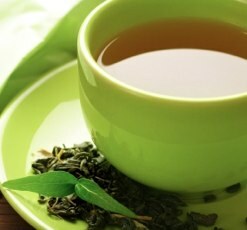 In one study, conducted at the University of Birmingham (England), a group of male volunteers were given green tea extract and when the researchers compared the data for the green tea group to that of the placebo group they discovered the green tea group has burned 17% more calories. Hoodia and glucomannan are both appetite suppressants, but they work in different ways. Hoodia works by stimulating an area of the brain that helps control the appetite. Glucomannan merely swells in the stomach to create a feeling of fullness. The other ingredients also have potential, but speculating on the possible benefits is pointless without an idea of the quantities involved. InnerVital fails to provide much information about how to use their product, but the recommended dose is two pills per day. With so much caffeine included in the formulation it would have been prudent to warn users against taking any pills during the late afternoon or evening. As is to be expected InnerVital’s sites provide a wealth of positive reviews that make Xenamine appear to be a fantastic product that can deliver weight losses of up to 105lbs. Although it would be unfair to point the finger, it is known that some unscrupulous manufactures often pay people to provide bogus testimonials and then publish them on their sites, so we have a natural distrust of onsite customer endorsements and always seek comments left on non-biased sites. In this case no independent feedback could be found. The Xenamine sales page on the InnerVital website fails to mention if side effects can be expected. The official Xenamine website is likewise lacking in information, but the ShopTopDietPills website lists a number of common side effects. The site also warns the product is not suitable for women who are pregnant or nursing a child. Anyone who has high blood pressure is advised to consult a doctor prior to taking Xenamine. We feel this advice should be extended to anyone has any health problems at all and to people who are taking medication(s). Xenamine can be purchased via the official product website or InnerVital.com. It is also possible to purchase the pills via the ShopTopDietPills online store. Although all the sites are owned by the same company the prices vary considerably. Customers who purchase directly from the Xenamine website can expect to pay $37.95 (£25) plus shipping for a single bottle of pills, but can save around $13 by purchasing via ShopTopDietPills or opt to pay nearly $40 per bottle and order via InnerVital.com. A refund can be obtained if the product is returned within 45 of the date it was ordered, but an unspecified deduction is made to cover shipping and handling charges. Xenamine contains a few ingredients that may assist weight loss, but the quantities involved may not be high enough. The amount of caffeine provided is high though, and bearing in mind some of the caffeine providers are hidden in a proprietary blend that accounts for over 900mg of the tablet’s content, it is possible the caffeine content could be twice as high as it appears. Hopefully this is not the case. After evaluating all the pros and cons however, we feel Xenamine is likely to offer more in the way of side effects than weight loss so, with no independent feedback available to suggest otherwise, we have to reject Xenamine and suggest dieters choose an alternative product instead. PhenQ leads way as far as commercial fat burner and appetite suppressants are concerned. A pharmacy grade formula that also includes natural ingredients. PhenQ has been a best seller in most countries and is arguably the de facto diet pill in the United States, Canada and Australia. This entry was posted in Appetite Suppressants, Fat Burners and tagged Xenamine Australia, Xenamine Canada, Xenamine Negatives, Xenamine Side Effects, Xenamine Walmart by admin. Bookmark the permalink.